Our oversized obsession continues with 'Hydra'. 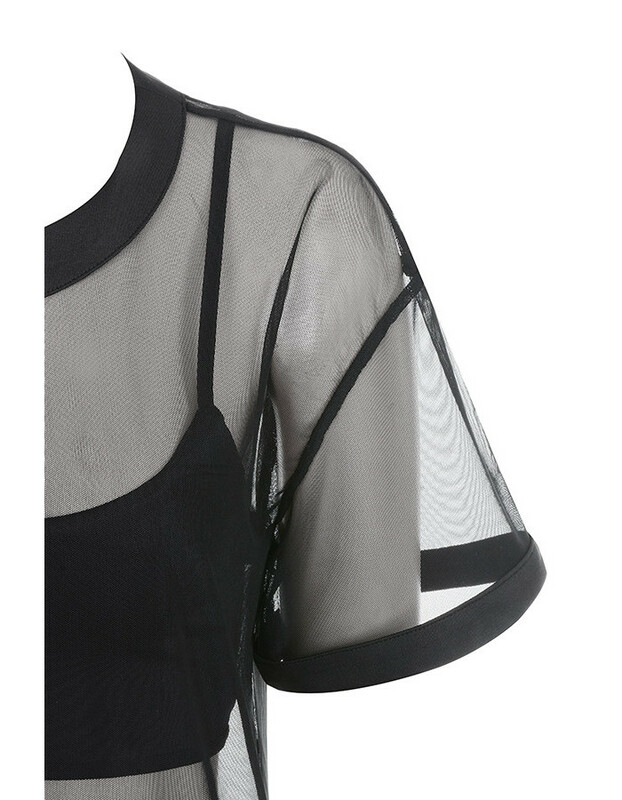 Crafted from a sheer mesh, this oversized T is supplied with a coordinating cropped top. 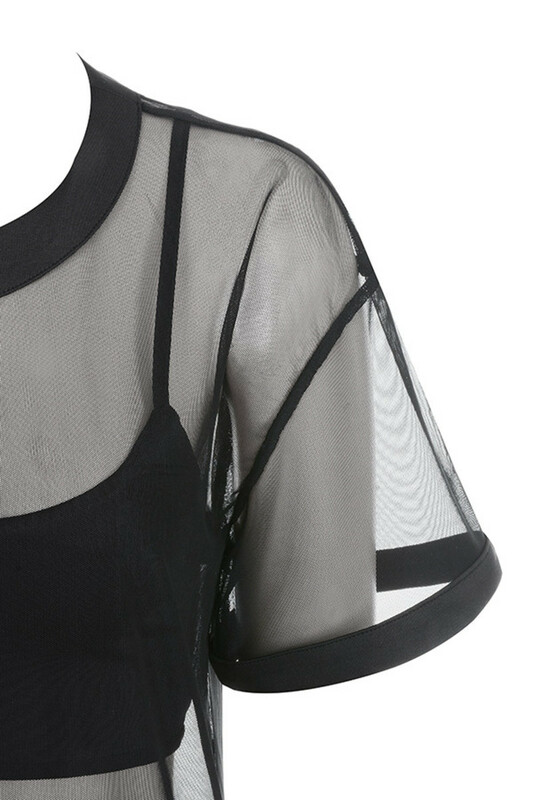 The collar and sleeves of the T are edged and we love this oversized cut over cute cycling shorts and heels. 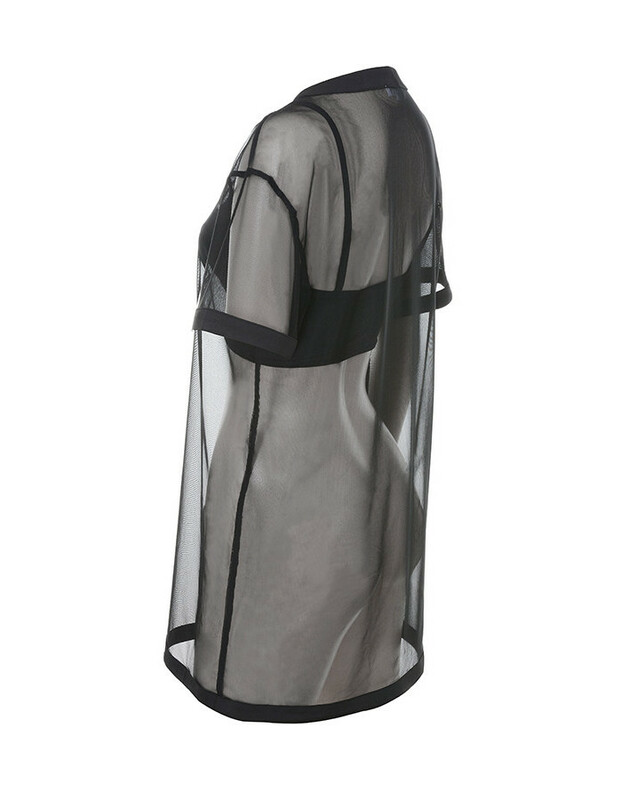 Made from sheer mesh and stretch jersey.